So what does the new Saint Etienne album sound like? First of all it isn’t “kitsch”, it isn’t “ironic”, it isn’t “frothy”, “lightweight” or “bubblegum” or any of those other terms that furrow-browed, sneer-lipped rock-crits like to wave Saint Etienne away with before going back to their serious, proper, canonical rock music. 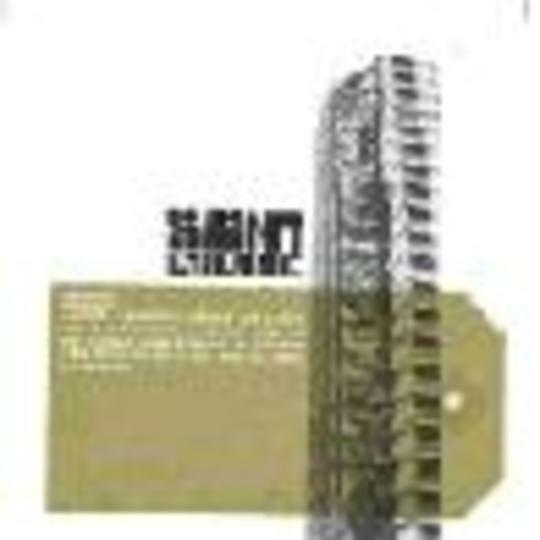 Saint Etienne were never any of those things, sure, they could be arch and knowing, winking playfully to the listener as they married house beats to a Northern soul shimmy, laying gossamer Shangri-La’s vocals on top and submerging it into a perpetual wash of samples and ideas and daydreams. But this isn’t insincerity, it’s what’s called fun. You remember fun don’t you, rock boy? No? Well never mind, take my word for it, it’s fun. Serious fun. So what does the new album sound like? Tidal waves. A glider darting through clouds high above the Azores. The girl with the cream smile and sky eyes whispering in your ear. Being lost in a frosty, fog-bound maze. Sports cars crashing. 'Finisterre' is Saint Etienne’s 'Technique': a mid career masterpiece that perfects their existing sound and takes a breathtaking swallowdive into a wide blue ocean of new possibilities. They return wiser, sounding stronger and still wide-eyed with determination. They return triumphant with these eleven hymns to beauty and blue skies which sound, amongst other things, like: chrome-plated, euphoric sharp electro; wistful but then redemptive club-pop that’s like watching a sunrise through tears; something that sounds like electroclash in a roller-disco; drowsy, heavy-summer ballads for your Ibizan hill-top villa; Saint Etienne still believing in the future. Always daring, even inspirational, Saint Etienne not only made the best album of the 1990s once (‘Foxbase Alpha’), or twice (‘So Tough’) but three times (‘Tiger Bay’), they pioneered cut n’ paste electronica-pop, and casually invented Britpop before leaving it for others to clumsily ruin. Their breathless, effortless ‘perfect pop’ songs litter and glitter from the 90s pop landscape like emeralds scattered over mudflats. They manage to craft intricate electronic soundscapes that would send Aphex Twin and Boards Of Canada scurrying back to their labs, scratching their heads, and also produce dancefloor anthems so giddy and effervescent that they make Fischerspooner sound like Smog. And this time they‘re doing it with a leeedle help from their friends: Doves‘ Jaz Williams is about somewhere, UK hip-hop princess Wildflower guests on the magnificent ‘gentle is the new tough’ hip-pop tune ‘Soft Like Me’; creator of punk fanzine/bible ‘Sniffin’ Glue’, Mark Perry - the original Sean Adams, if you will - writes the sleevenotes, and actor Micheal Jayston’s rich, plummy tones can be heard delivering the curious between-song aphorisms, a few delightful examples of these are: “Gentle and giving. All the rest is treason”, “Use a bank? I’d rather die!” and best of all, “Rock could be so good, but we make it all so rubbishy”. Of course the main thing is that the Et maintain their rarefied pop sensibilities - indeed, they belong next to the Buzzcocks, The Smiths, the Pet Shop Boys and others as one the great, British singles bands - and this album is possibly their most cohesive yet: each track an exquisitely sculptured, instantly immortal pop moment that fizzes with a polymorphous perversity, a strange, lyrical poetry, and Sarah Cracknell cutely cooing such things like: “hate and fear are taking over this city / but they’ll never get through when the records are sounding so pretty”. It's a declaration of war which she makes sound like someone falling in love. Their grail: perfection. ‘Finisterre’, you'll might like to know, is also: A protest against mediocrity; against the evil of banality; against things staying the same forever. “I believe that music, in the long run, can straighten out most things. There are too many bands that act lame, sound tame, I believe in Electralane. Over here it’s new, it’s now, it’s you, it’s clean. To look beyond Big Brother gossip culture. So bored of stupidity. The myth of common sense. Around here it’s hoods up, heads down: they’ve got it the wrong way round. So, anyway, what does the album actually sound like? Oh, y'know. Fireworks over fairgrounds, kisses that feel like Christmas morning, the view from an airship over a snowy Manhattan. This is what it sounds like.